Amnesty International calls Dr. Hassan Diab’s continued imprisonment “a violation of international human rights norms”. Additional independent witnesses and official documents further confirm Diab not in France at time of 1980 Paris bombing. 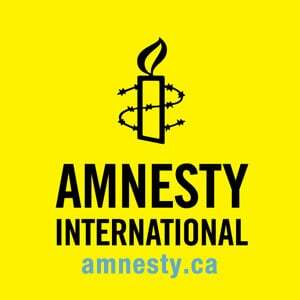 On Wednesday, June 21, 2017, Amnesty International, the Canadian Association of University Teachers (CAUT), and the Hassan Diab Support Committee held a press conference on Parliament Hill in Ottawa, urging the Canadian government to intervene with the French authorities to release Canadian citizen Dr. Hassan Diab on bail without delay. The British Columbia Civil Liberties Association (BCCLA) and the Canadian Civil Liberties Association (CCLA) echoed similar calls for the Canadian government to bring Diab home. In a significant development that solidifies Diab’s innocence, six independent witnesses testified that Diab was a student in Beirut in September and October 1980, and that he was studying for the exams and wrote and passed them at that time. This was confirmed by official documents from the university where Diab studied. Diab was extradited from Canada to France in November 2014 in connection with a 1980 bombing outside a synagogue in Paris. He has been held in pre-trial detention in France for over 2 ½ years. French investigating judges have delivered so far 6 judicial orders that Diab be released on bail, stating that there is “consistent evidence” that Diab was not in France at the time of the 1980 Paris attack. However, each time the prosecutor appealed and the French Court of Appeal quashed the release orders because of the political climate in France.